Daniel Sturridge has reiterated his rather impressive CV by naming a star-studded Ultimate XI of past teammates and opponents. The Liverpool striker played alongside and against a number of high-profile players during his spells with Manchester City and Chelsea prior to his Anfield move in 2013. Sturridge can be forgiven for only including one Liverpool great when taking his options into consideration. Like him or not, Ashley Cole is a tough man to overlook when it comes to selecting a left-back. 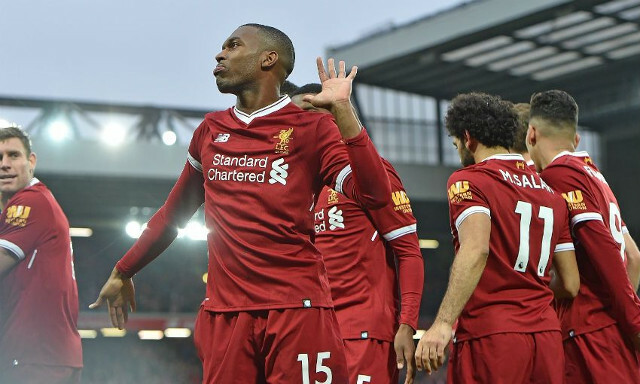 In Sturridge’s team, he features alongside a centre-back pairing of Paris Saint-Germain’s Thiago Silva and former City teammate Vincent Kompany, with John Terry slotting in at right-back. Liverpool legend Stevne Gerrard unsurprisingly gets the nod in midfield, alongside Italian midfield great Andrea Pirlo. A world class midfield partnership is flanked by Cristiano Ronaldo and Lionel Messi, with Sturridge’s ex-Chelsea teammates Didier Drogba and Nicolas Anelka spearheading a 4-4-2 formation. Luis Suarez is a surprise omission, with the Uruguayan having formed a frightening partnership with Sturridge during the 2013/2014 campaign, in which Liverpool finished second in the Premier League. The pair combined for a total of 55 goals across all competitions as Brendan Rodgers’ men fell just short of beating Manchester City to the title. As good as Suarez was, it’s hard to argue with Sturridge’s selection.